Letting a computer program suggest non-spelling-related edits to my writing has never been something I have taken seriously. Much like Groundhog Day it seemed like a cute idea that would yield very little useable information. I was recently approached by the makers of an editing tool to try out their product and become an affiliate. Instead of trashing the request with the pile of similar requests I get each week, I decided to learn a bit more in this instance. The person doing the inviting was familiar with my blog and expressed interest in having me write for their site. I had also heard of this particular tool and knew it was legit. As I wrote my first guest post for their site, I used the Premium version of their editing tool (which was provided free of charge to me as I evaluated being an affiliate) to see if I could find a grain of usefulness anywhere. It wasn’t that I thought my writing flawless, I just thought droid or app telling me how I could improve something as subjective as writing struck me as far-fetched. 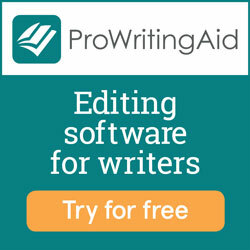 I tried Pro Writing Aid anyway. To start with, the usability is smooth enough that an inept 41-year-old who doesn’t even own a smart phone can use it. All I did was click the link to their tool and paste in my article (there are versions that work with MS Word, Google Docs, WordPress and more as well). A summary report immediately generated, as well as specific reports deep diving into each area of my writing. words repeatedly and offered suggestions for changes. Pro Writing Aid suggested omitting unnecessary words including ‘obviously’ and ‘that’, and even told me where I ranked among other users. 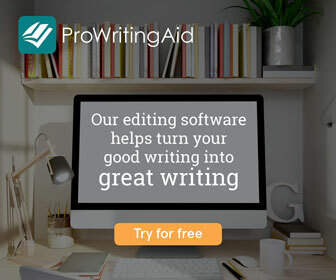 I’ll admit that I felt a little subpar when I read “Your vocabulary was more dynamic (unique words/total) than 32% of ProWritingAid users”, but I got over it. I delved into detailed reports for style, grammar, overused words and phrases, readability, clichés, sticky sentences that slowed readers, diction, sentence length, thesaurus (this one is awesome and allows you to zoom through and select replacements as needed), pacing and more. As an added bonus, I edited my document while simultaneously reading report findings in the margin. To try it out yourself, use my affiliate link HERE, and enjoy the FREE VERSION immediately. If you decide to upgrade to the Priority version (that’s what I am using), please be sure to use our Beyond Your Blog voucher for 20% off! Just enter BEYOND2017 when you purchase.